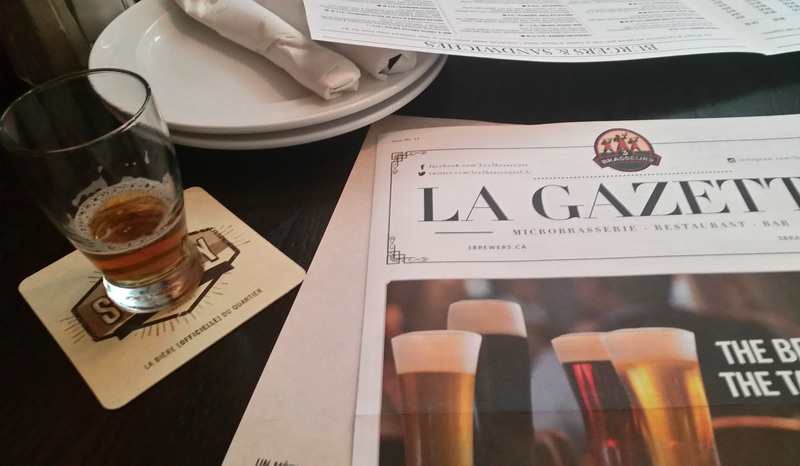 For our masterpiece poutine experience, we chose La Banquise. 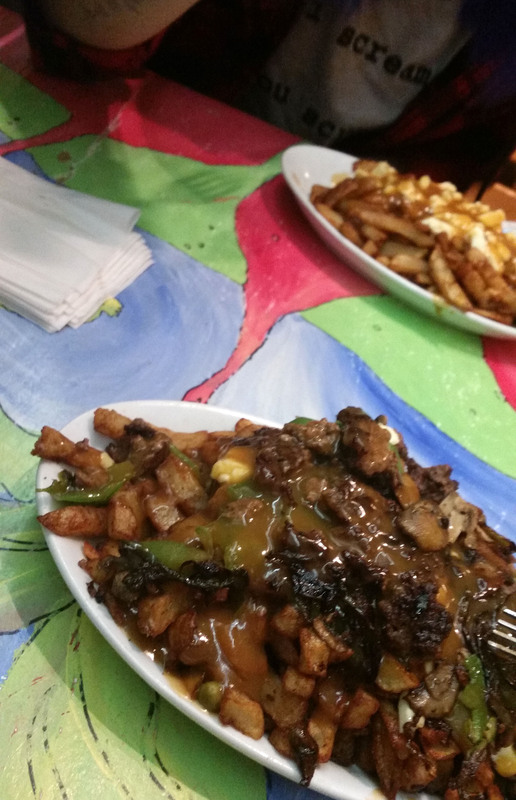 After reading a bunch of “Montreal’s Best Poutine” lists, we realized it was near the top of every single one. It’s also open 24 hours. 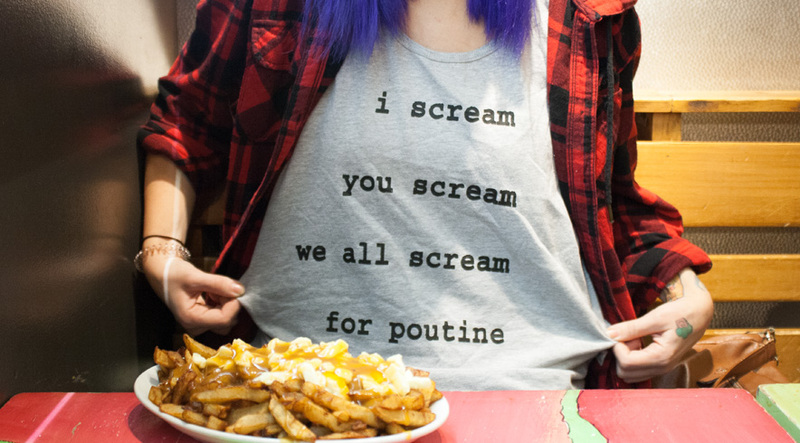 It also has 30+ poutine options to pick from. (And if celebrity sightings are your thing, there’s a photo of Joe Jonas and Gigi Hadid on Instagram eating there. Just sayin’.) 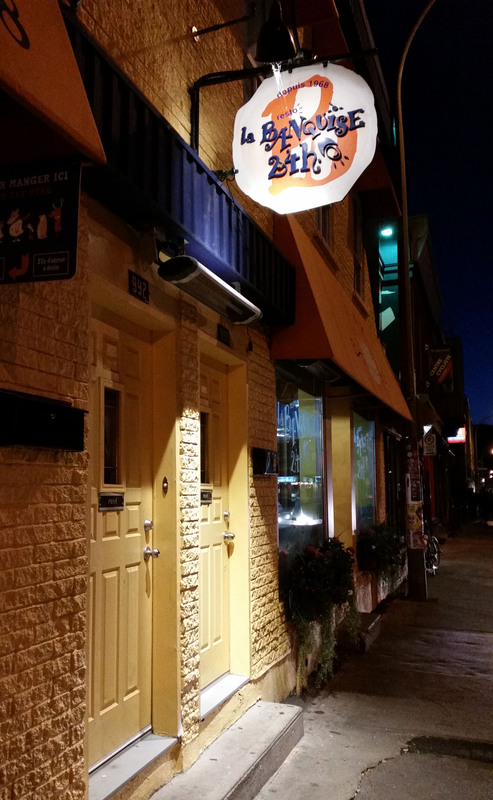 Not surprisingly, the poutine was maybe the best we’ve ever tasted. (Sorry, Costco Resto-Club). It was also the perfect setting to shoot Jana’s latest shirt for Figgyduff Dory: (The best photoshoots are when you get to eat the props immediately after). No excuse not to try this–it’s open 24 hours a day. Pumpkin Ale sample. So much better than a PSL. 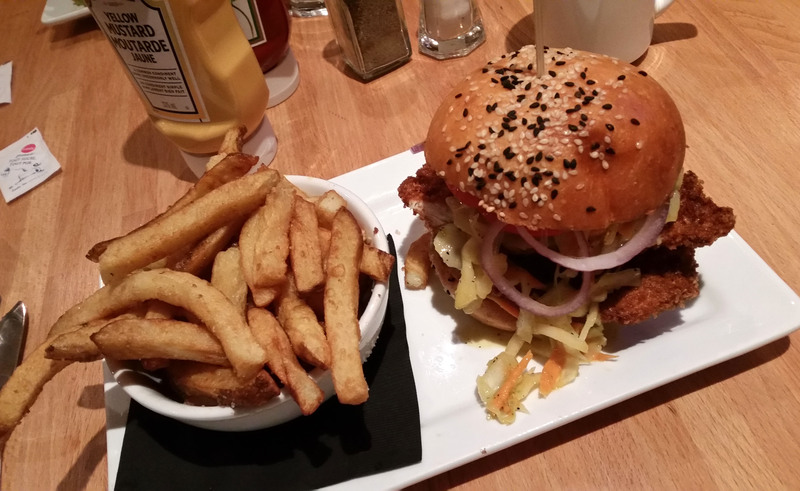 Panko Chicken Burger at Burger Bar. And no trip is complete without sweets. (C’mon, this is me and Jess we’re talking about here.) (You think Jess would go back home without a single scoop of gelato!? Hells no.) 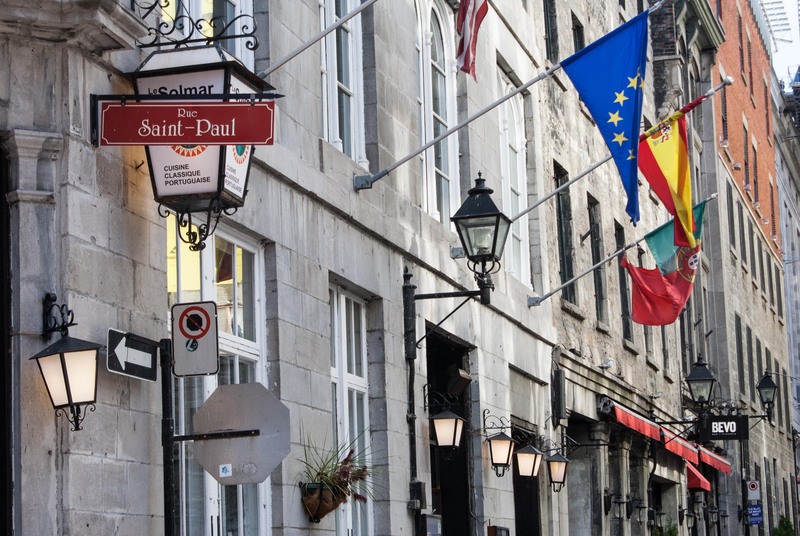 We spent an afternoon walking around Old Montreal, and found a shop devoted entirely to maple. MAPLE!!!!! My personal version of heaven looks a lot like the inside of Canadian Maple Delights on rue St-Paul. We didn’t hold back, either. 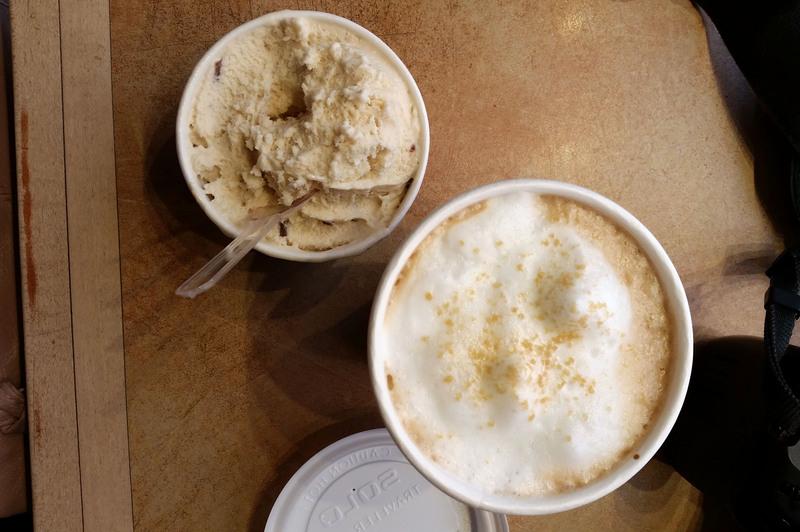 We sat down with a Maple Latte, Maple Nutella Gelato, Maple Biscuit Gelato, and poked a Maple Butter Shortbread Cookie in our purse for later. (“Later” referring to four hours after when we came off our Maple Syrup high). Maple Treats from Les Délices de L’Érable. 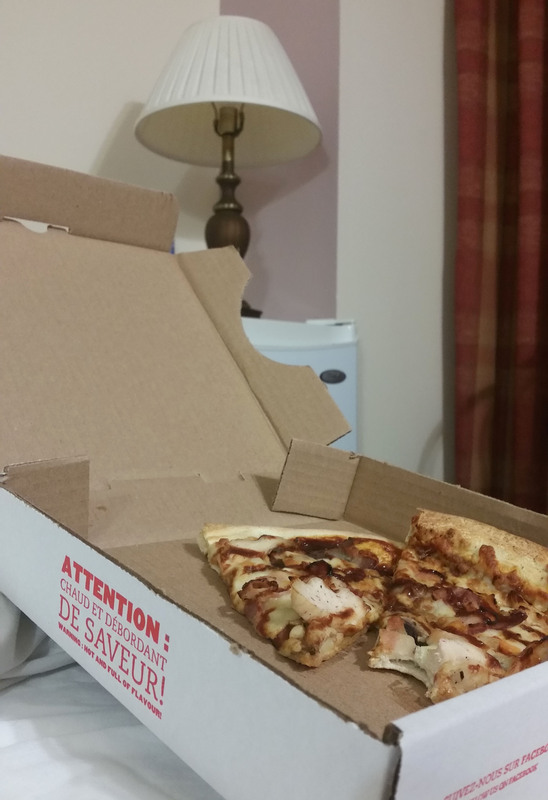 Budget eats in the hotel room. (Basically, leftovers from the day before). **Not photographed: The even-more-basic meals purchased at the grocery store. We figured you all know what bananas and granola bars look like. Previous Previous post: Maybe Downtown is Best.